Master Carver, Ian Agrell, discusses the philosophy behind Agrell Architectural Carving. 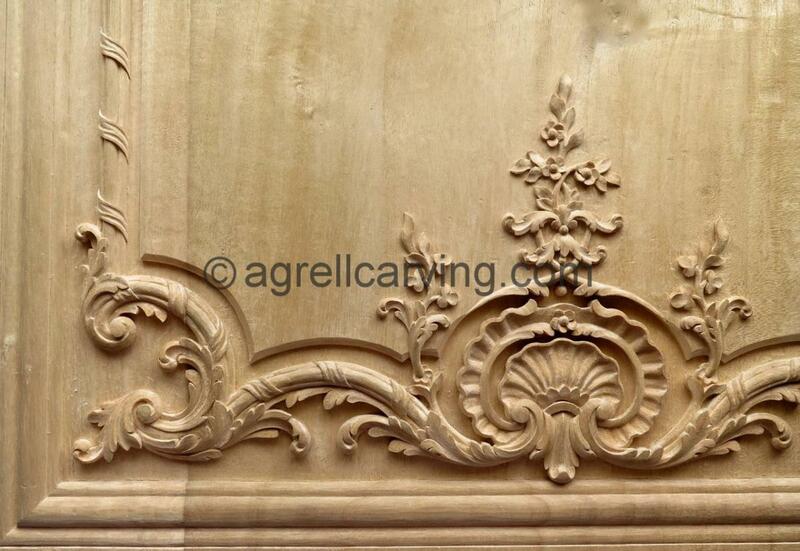 Agrell Architectural Carving, founded by Master Carver, Ian Agrell in 1978, is recognised as one of the foremost architectural carving companies in the world. We specialise in classical design and hand carving for private residences, commercial buildings and ecclesiastical structures. When you work with us, there are no limitations to what we can create. We employ the same methods and tools used by the generations of wood carvers before us. Look closely and you’ll discover there is a delicacy and beauty that only carving by hand can reveal. BEAUTY WITHIN BUDGET. DELIVERY WITHOUT DELAY. At Agrell Architectural Carving, design is everything. Whether it’s a simple yet elegant hand-carved wood fireplace mantel or a series of complex renaissance panels, we proudly stand by our commitment to provide you with workmanship of outstanding quality. You can also be confident your project will be delivered on time and within your budget, regardless of volume, project size or location. The key is collaboration. To ensure an open and continuous dialogue and complete confidentiality, Ian Agrell personally directs all projects from start to finish. The Agrell Architectural Carving team includes over 15 highly skilled wood carvers and three project managers. Which means, in addition to our large wood carving capacity, we also provide you with your own project manager who, alongside Ian, ensures that all details are managed to your complete satisfaction and that your project moves forward in a timely manner. We would like to wish our friends, family and colleagues in the United States and very happy July 4th / Independence Day. We celebrate this with some examples of our patriotic wood carvings of eagles. On this day in history the 28th June 1919 the Treaty of Versaille was signed - one of the peace treaties at the end of World War I. Given the anniversary and the current news I decided to write a bit about French interior decoration and discuss (just some of) the projects we have been involved with over these last few years. Do you want to learn woodcarving ... in France? Ian Agrell has been running the School of Classical Woodcarving in the United States for more than 20 years. In that time he's taught around 300 students, many of whom have gone on to become professional woodcarvers.